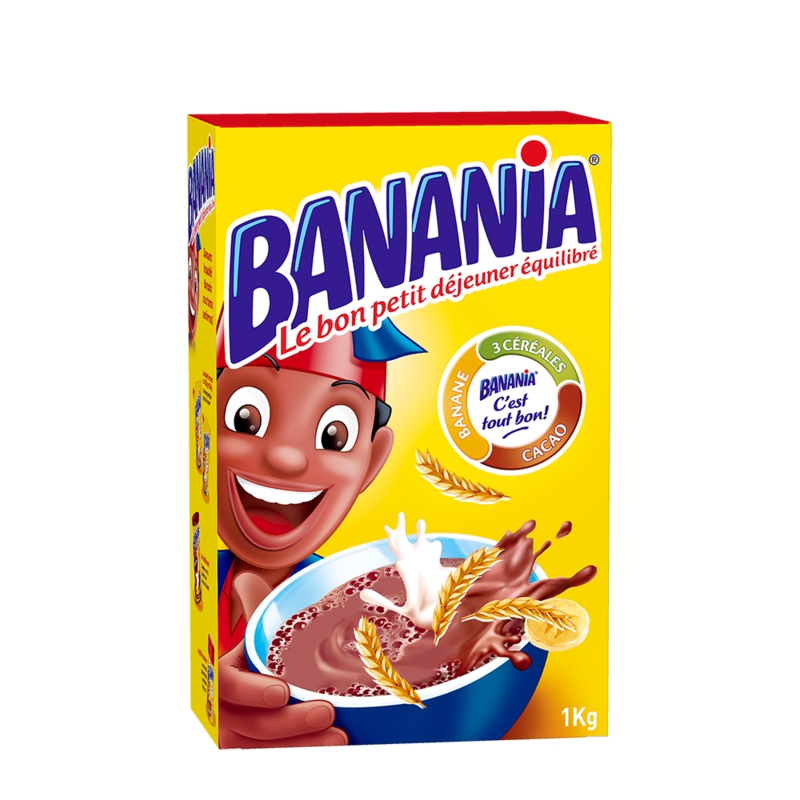 Banania is a chocolate powder formula that naturally combines the delicious taste of good cocoa with the benefits of crispy cereal grains, plus a touch of honey and banana to give it a gourmet flair and that unique taste! 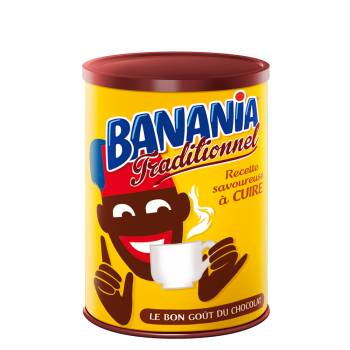 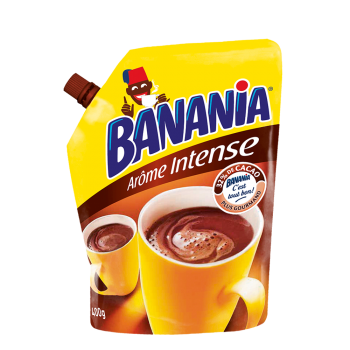 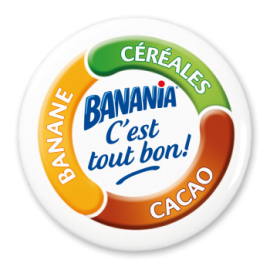 Ingrédients : Sugar, non-fat cocoa solids (19%), cereals (WHEAT flour, BARLEY flour, malted WHEAT flour) : 12%, banana flakes (0.25%), honey, vanilla flavor, salt. 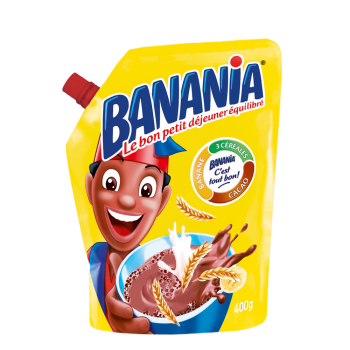 Unlike the formulas traditionally used to make chocolate powder, Banania stands out for its 12% cereal content (wheat, barley, and malted wheat). 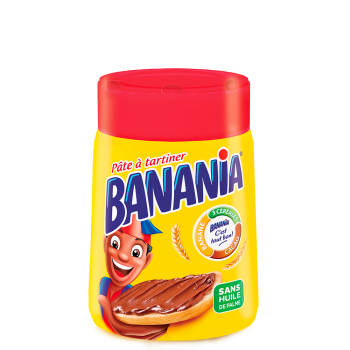 This unique feature makes for an inimitable crispy taste that also allows the refined sugars to be replaced with complex carbohydrates, providing energy that’s progressively usable throughout the day.